The English Premier League is an incredibly popular spectacle around the world, with 20 of England’s elite clubs doing battle each year for one of football’s biggest prizes. 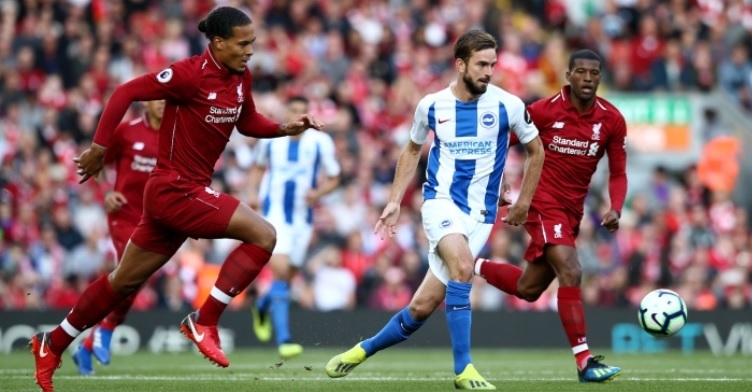 However, not everyone has easy, unobstructed access to live Premier League matches, so this article explains how you can watch any match, anywhere, and any time, via any desktop or smart device using a virtual private network (VPN). Before you can even begin to think about which VPN to use, you’ll need to establish an internet connection, and a pretty good one at that, in order to avoid your stream being constantly interrupted. The good news is, there are dozens of completely legal streaming services available around the world. The bad news is, many of these require subscription fee. That said, it’s usually worth paying. You will usually be able to find one with the commentary in English if you do a bit of searching around. Not being able to understand what the commentators are saying can be hugely irritating. Additionally, if you’re a Sky or BT Sport customer who is not currently in the UK, you can access any live televised matches on your mobile device free of charge with apps such as SkyGo. However, you are limited to what is being screened in the UK, as laws dating back decades permit the traditional Saturday 3pm GMT kick offs being shown live on British shores. If you’re not currently a Sky or BT customer, you can still pay a monthly subscription fee to access their online service, however this still only provides access to matches shown in the UK. When you’re trying to access certain sites overseas, you may find that they are geo-restricted, as your IP address reveals your location. A VPN allows you to circumvent these restrictions, providing you with an anonymous online location, allowing you to appear as though you are accessing the site from any location by encrypting your internet traffic. There are numerous VPNs out there and some work better than others, so to ensure that you get the best one, be sure to check out some online reviews. In some cases, you can also sign up to a free trial, allowing you to see first hand whether or not it’s worth using long term. Most VPN services will require you to install their software on your device, but this is usually very simple to do, with step by step guides provided. Similarly, the streaming service you are using alongside your VPN may also require you install some software, so you’ll need to do that too. Once you’ve done this, you can log in and connect to an internet server of your choice, in whichever location you need to pretend to be in. Then, once you’ve done all of the above, unlimited access to live Premier League football should be available to you at the touch of a button.